Debra S. Katz, the attorney representing Professor Christine Blasey Ford, has asked for more time for her client to decide if she is willing to testify under certain conditions next week before the Senate regarding her allegation of sexual assault committed by Supreme Court nominee Brett Kavanaugh. Debra Katz released a statement, saying in part, "The 10:00 PM deadline is arbitrary. Its sole purpose is to bully Dr. Ford and deprive her of the ability to make a considered decision...Our modest request is that she be given an additional day to make her decision." Likewise, Katz also asserted that Sen. Chuck Grassley, the senate judiciary committee chairmen, has displayed an "inappropriate" and a "cavalier treatment" of a sexual assault survivor. 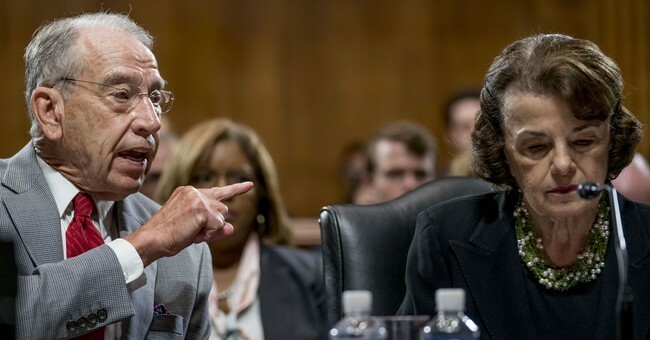 Earlier tonight, Sen. Grassley released a statement, saying, "Despite the fact that the July 30th letter remains hidden, my committee has been investigating the allegations and has heard from multiple witnesses since Sunday. [Attorney Debra Katz] has discussed Ford's allegations in numerous media interviews and said on TV Monday morning that Dr. Ford wants to share her account with the Senate Judiciary Committee. It's Friday night and nothing's been agreed to despite our extensive efforts to make testimony possible." Professor Ford alleges that Brett Kavanaugh sexually assaulted her at a high school party 36 years ago but has not provided details as to what year or even where the party occurred. This accusation came to light after Sen. Dianne Feinstein (D-CA) held a confidential letter written by Professor Ford for two months and made note of it only after Kavanaugh's hearings and closed sessions had ended. Despite a Washington Post story indicating that Katz was advising her client to prepare for public scrutiny regarding the accusation, Professor Ford's legal team is now claiming she needs more time and even refusing to fly as well as insisting on driving across the country to come to DC for a potential testimony. Sen. Grassley promised the Senate will convene a vote Monday if a reasonable agreement was not reached by 10:00 PM tonight. Based on the letter from Katz, it appears no agreement has been met by now. It is unclear if the Senate will actually vote as of this writing at 10:01 PM ET. This story will be updated.